Caligen Foam is a leading global supplier of automotive polyurethane foams for interior trims and engineered components. 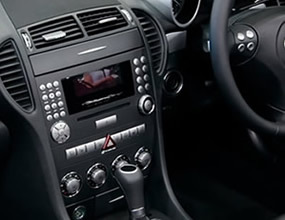 To meet the ever-increasing demand for automotive interior system supplies, we offer world-class foams that conform to the OEM's stringent specifications and can support J.I.T. plants globally. Rollover titles for more details. Caligen foam is laminated to various textiles for seating upholstery, giving added stability and asethetic appeal to finished products. Our products are developed for, and specified by all OEMs. We can also supply foams for the latest seating technologies such as Tem-10, Kaptex, Unibond and Surebond. Polyurethane foam is a vital component in the production of automotive door panels. Caligen's high density foams are specifically designed for the high temperatures and pressures under which such foam is moulded. For headrests, bolsters and AB posts, Caligen offers foam grades with very low porosity for the latest in-situ moulding technologies. 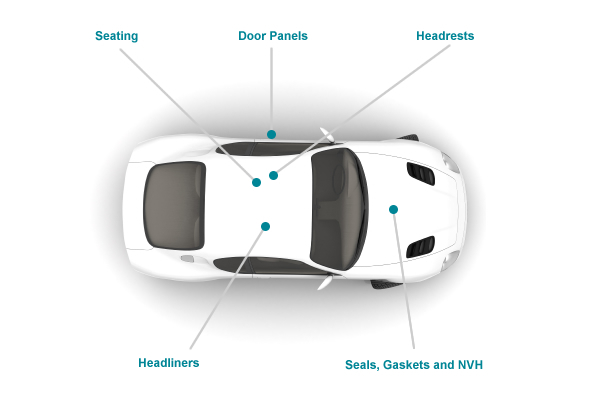 The specialist headliner market demands speciality foams, which we have spent many years developing. As a result, we can supply flexible PU foam for substrates used on the headliner in both wet and dry conditions during the typical one-shot process. We supply rolls, sheets and converted foam products to meet all current automotive specifications, as well as designing new materials and products to meet specific customer requirements.